The majority of people dread having their teeth cleaned. They don’t like the strange noises, the occasional discomfort felt in their jaws, the prodding by sharp objects, so it is easy to figure out why they are apprehensive. For the most part, having your teeth cleaned is painless and straightforward. If you know what is going to happen during the entire process of dental cleanings in Houston, TX, it may help ease the stress you are having and let you enjoy the tasty minty-fresh results. You will find that most dental cleanings in Houston, TX are done by a dental hygienist. Before they start to clean your teeth, they begin by doing a physical examination of your entire oral cavity. 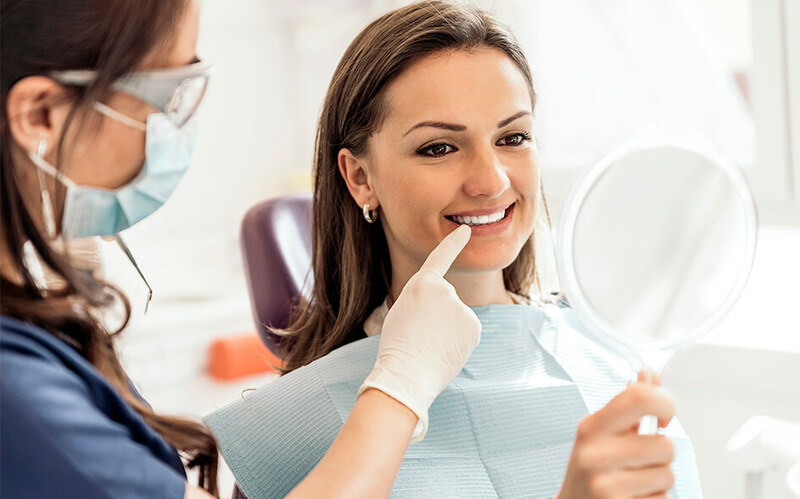 Your dental hygienist will use a small mirror to look at your gums and teeth to check for inflamed gums (gingivitis) or other possible concerns she might note. If they find any significant issues, the dental hygienist will bring the dentist in to make sure it is ok to move forward. By using the little mirror as a guidance tool, the hygienist will begin utilizing a scaler getting rid of the tartar and plaque attached around the gum line and between your teeth. You will hear a scraping noise, but this is entirely normal. By flossing and brushing between dental cleanings in Houston, it will stop the plaque buildup and hardening into tartar. Once tartar develops, it cannot be removed anyway except at the dentist’s office. Removing tartar is probably the worst part of teeth cleaning making for a good lesson for people to floss and brush more often. Once the hygienist gets the tartar completely removed from your teeth, she will clean them further with a high-powered electric tooth-brush that will make a grinding noise. When you have your teeth professionally cleaned they use toothpaste that tastes and smells like plain toothpaste. You may notice that it has a grittier texture that will scrub your teeth gently. If a professional is polishing your teeth, it is safe to have this done two times a year. It is too harsh to be used all the time at home because it will wear down your enamel. If you floss or don’t floss at home, only you and your hygienist will know for sure. The dental hygienist has been taught how to get deep down between your teeth and find any possible trouble areas where you might be bleeding at the gums. You probably think that since I floss at home, why are they flossing my teeth here? But remember, it is getting the leftover plaque from the scaling process.